There is a lot of conjecture and squabbling by fitness enthusiasts over whether taking a pre workout supplement before doing cardio is a good thing or not. If you spend enough time in any crossfit studio or weightlifting gym you are bound to hear some heated discussions on this topic. If you’ve ended up on this page then I assume that you, like me, think that pre workout before cardio is a good thing and would like to know what the best pre workout for cardio actually is. Luckily for you, that is something that I have done a lot of research into because I hate cardio like nothing else and to get me doing a lot of it I need all the help I can get. So like I said above, there are a lot of haters out there that are against using a pre workout drink before doing cardio exercise like running or cycling or swimming. The main reason cited by most of these naysayers is something along the lines of “pre workouts increase your heart rate and my heart rate is through the roof when doing cardio anyway so if I take I a pre workout and then do cardio my heart will quite possibly explode.” Now this is pretty sound logic and I completely agree with it in theory but the argument hinges on the assumption that all pre workouts will get your heart rate higher than cheech and chong and that is simply not correct. Walk into a supplement shop these days and you will no doubt be confronted by a vast array of brightly colored packages containing all manner of pre, intra and post workout enhancing products. Scattered throughout these shelves or organized in their own special section will be an assortment of stimulant free products. These do not contain any central nervous system stimulants and as such should have absolutely no effect on your heart rate whatsoever. If you take one of these before exercising and your heart explodes I’d say you’re probably doing something wrong with your exercise program. That’s not to say that pre workouts with stimulants should be avoided before cardio though. Well not in my books anyway. I really do not enjoy cardio for the sake of cardio such as running or swimming or elliptical or rowing or any of those other stupid machines at the gym. I’d even go so far as to say I hate it. Strangely enough though, I can run all day if I’m chasing a ball or playing any kind of sport and don’t think anything of paddling for hours if the surf is good. Anyway, when I can’t go surfing or play sport and need to keep my fitness up then cardio for the sake of cardio is the only option. Some days I can force myself to do it but other days I am not motivated enough and this is where a good pre workout containing stimulants becomes invaluable to me. The stimulant factor gives me the energy and motivation I need to get it done. Improved Performance of The Body. For me this is probably the main thing. It is a fact that pre workout drinks don’t make running any less painful. 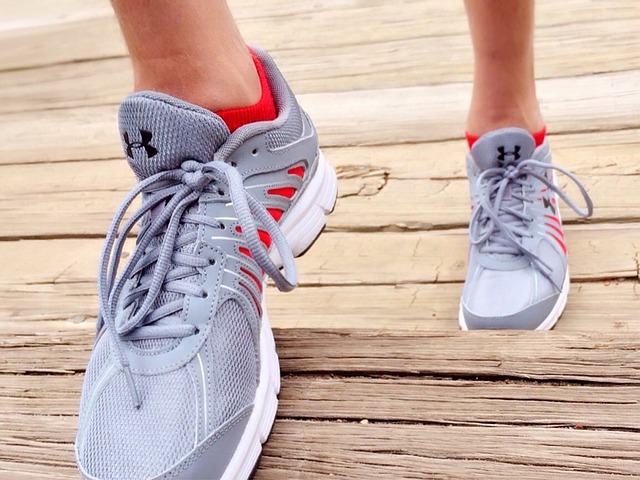 However on the days where I just couldn’t be bothered they give me the extra motivation and energy I need to actually get outside or to the gym and justify the cost of my running shoes. I have no doubt that there are a great many people out there for whom this would be the main reason they’d use this kind of supplement. If you are one of these people then you may well like to consider a stimulant free formula that still has all the other performance enhancing properties. 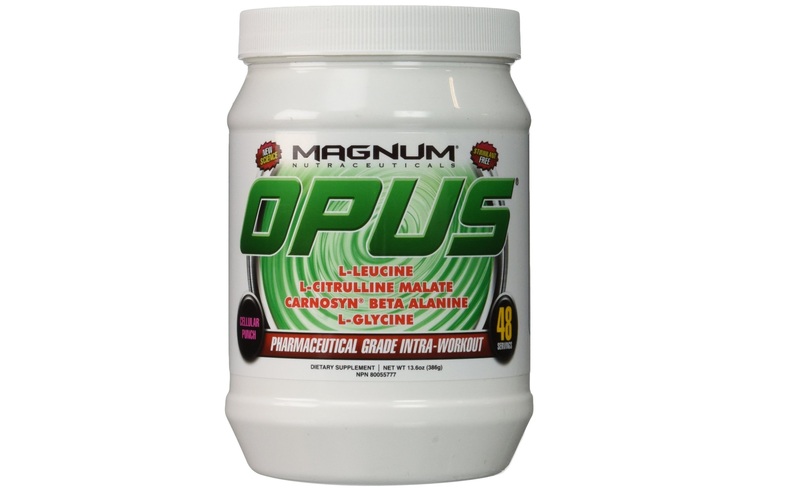 Not only will it help your muscles work harder and for longer but it will also help them recover quicker. No pain no gain is still true (especially when it comes to cardio!) but I say why endure any more than you need and why have it last any longer than necessary. Bearing this in mind I have compiled this list of what I think are the best pre workout supplements to take before doing any sort of cardio. For more details on pre workouts including what they do and how they do it, here is some good information on pre workout supplementation for beginners. As I said, this content is my opinion and even though I know a lot about supplementation I am not a doctor I am not qualified to give medical advice so please consult your doctor to discuss your own specific health requirements. 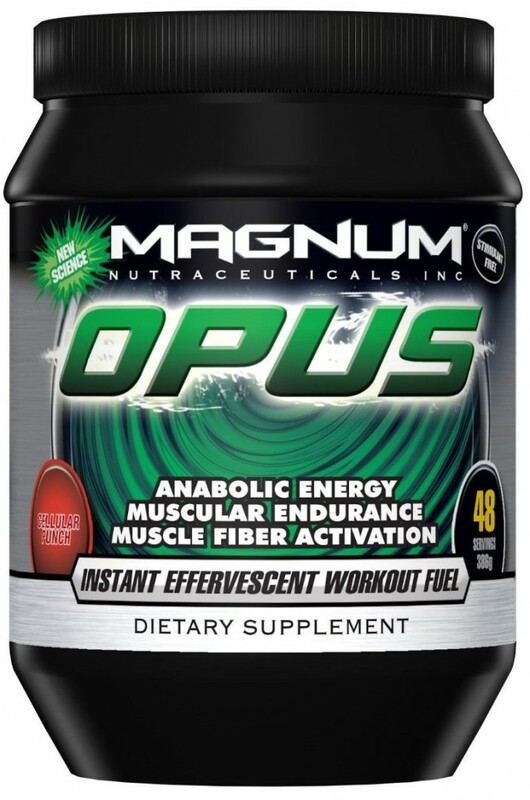 If you work out in the evening or are sensitive to nervous system stimulants then do yourself a favor and check out Opus! 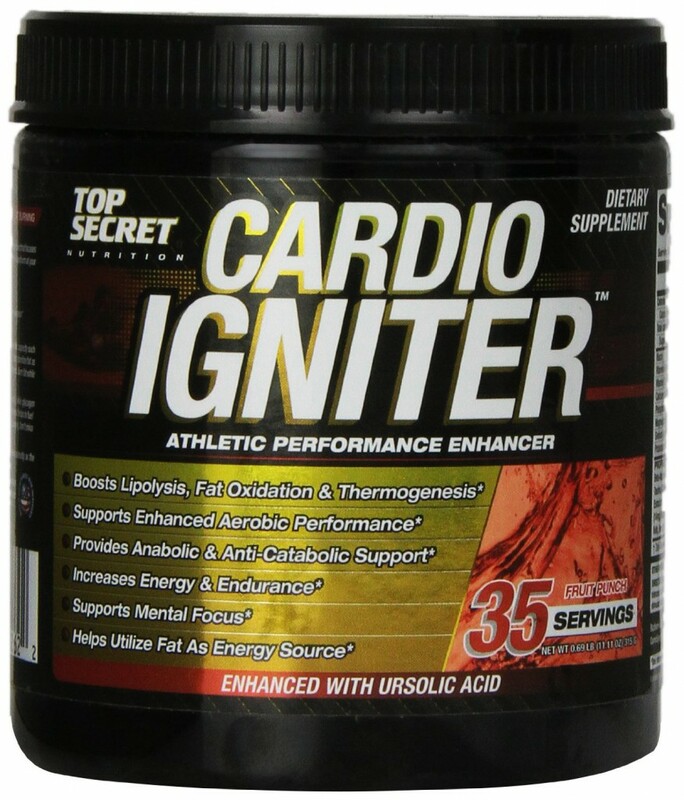 If you’re looking for a pre workout with a good stimulant blend that goes easy on your heart rate and has a heap of natural ingredients to boost the performance of your body then Cardio Igniter by Top Secret Nutrition is the answer to your prayers. 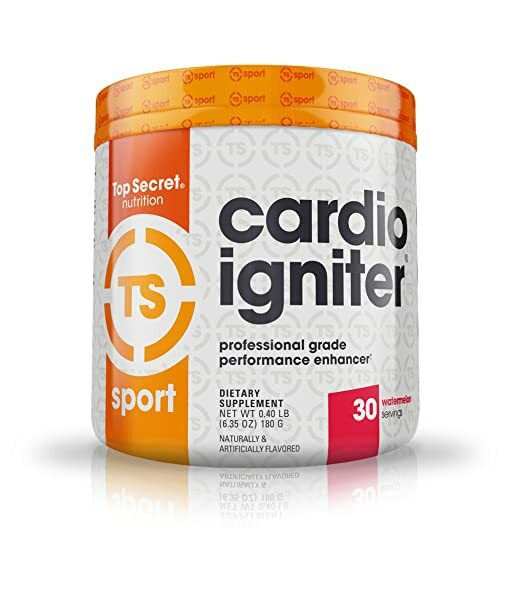 Probably the most amazing thing to me is that this product has a significant fat burning component but doesn’t seem to have the effect of giving you a highly elevated heart rate. 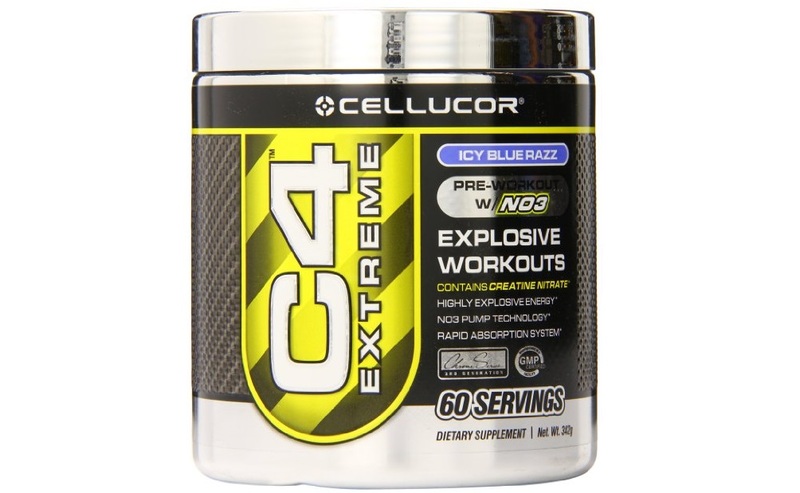 This is a pre workout that is specifically formulated to enhance performance during cardio exercise. Not only that but it is also designed to maximize results one can achieve from cardio workouts by helping to increase VO2 max and burn higher levels of fat. This was a very informative post. I work out almost daily but I didn’t even know how important a pre workout is for cardio. I certainly learned a lot here. I will follow you tips and make sure I visit back for more advice. I will also try the supplements you recommend. loved it , lol i actually use the c-4 prior to all my work outs so i know exactly what you were talking about , great topics , loved your you tube video at the bottom as well , i would do that for all of your posts , really liked that fact that you sound like you know what your talking about , just a suggestion and also a question , have thought as topic for one of your posts maybe blogging about injuries like ” planters faciiatis ” associated with running and sports ? i would like to read what you have to say about that because i am suffering from that and know so many others who are as well , good post ! Thanks for your comments. Unfortunately I don’t think I know quite enough about plantar fasciitis to write a post on it but I have experienced it in the past myself and can sympathize with your suffering. I hope it gets better soon! Very enlightening article. I wasn’t aware there was such a thing as a pre-workout. I took hate working out, and will do anything to avoid it, and I’m happy to report I’ve been very successful! I also agree that if I was out hiking, or canoeing I can happily do it without suffering. I like your honesty, and being quite a straightforward person myself, I like that you don’t pretend being in a gym is great and you love it! Perhaps you have the answer for me and my lack of enthusiasm. Thanks for your comments. I’m glad you’re able to keep fit and healthy by doing activities that you enjoy like hiking and canoeing. Should the day ever come that you can’t partake in thesae activities and need to resort to the gym to keep in shape I hope this new knowledge of yours comes in handy. I really like the way you broke your post down to explain about the best pre-workout for cardio. I find having comparisons are always great but most of all I like the way you give a description on a few products that you recommend that would work according to your topic. I believe in not operating on an empty stomach for anything I do. Charge the system up and get it done. Thanks Travis. Get it done indeed! I loved your article on pre workout supplements. I am an avid swimmer and workout 20 hours a week most of the year. A pre workout has never killed my workout but I personally like to take it only when I really feel a lack of energy or need some stimulation. 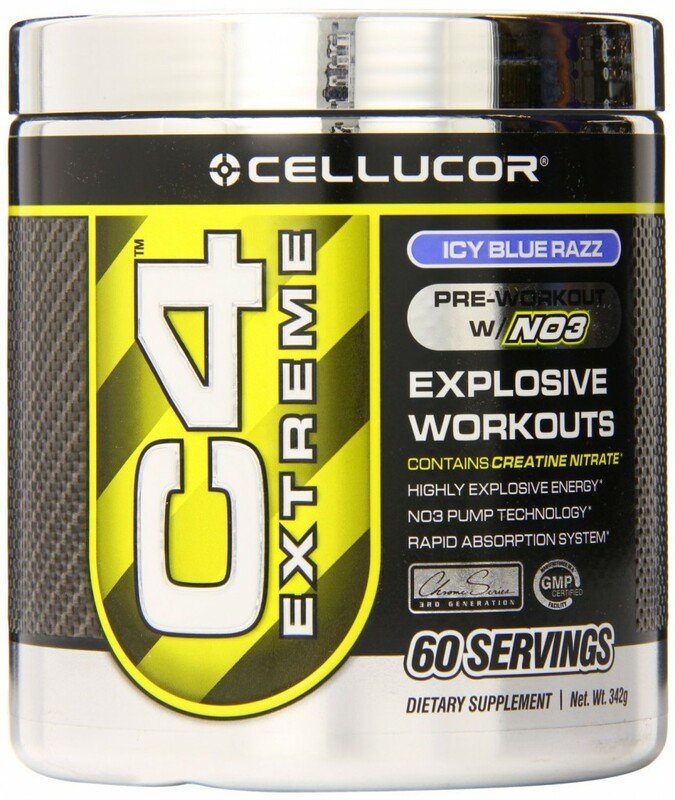 I have a thought that it wouldn’t necessarily be a great thing to take preworkout every day I do cardio. Do you think it would be okay to take it every day? Very informative post! I really like how you distinguished between stim and non-stim pre’s because that can be important for different peoples’ preferences. What do you prefer when taking a pre for cardio? I know I like the stim because it also helps with fat burning. Once again, great post. Keep ’em coming! Personally I liked stimmed too because I absolutely hate doing cardio (unless I’m playing sport) so I need the extra motivation. Thank you for publishing in depth article about the best pre woorkout supplement for cardio. I have to point out, you really explain everything we need to know about the benefits of taking pre workout before cardio. I really learned a lot by reading your article. I’ve been thinking of getting a pre workout with the intention of boosting my motivation to go to the gym after work. Based on those two things, which of your three recommendations will apply better to me? Thanks for the comment and happy training!